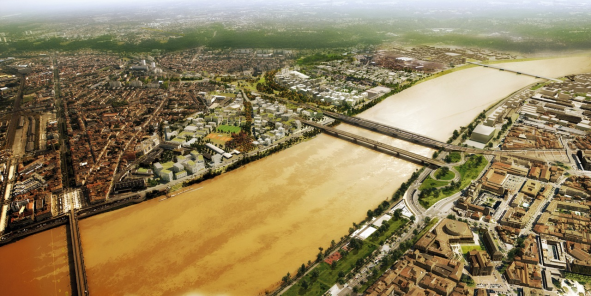 Bordeaux Euratlantique, a public property development entity, has announced it has pre-sold 180,000 m² out of a planned 2, 2 million m² as part of the largest town planning operation in Bordeaux. This is a resounding success for this major project that is set to create an international business district close to the train station which, in 2017, will introduce the high-speed train line that will put Paris 2 hours 5 minutes away from Bordeaux. The service-sector sites on the Paludate quay section will come first. Furthermore, a World Trade Centre is currently being discussed and negotiations are in progress to choose the operator that will manage a building to host this world-renowned service centre close to Saint-Jean train station.